Hnylopiat River [Hnylop'jat’]. (Map: Hnylopiat River.) 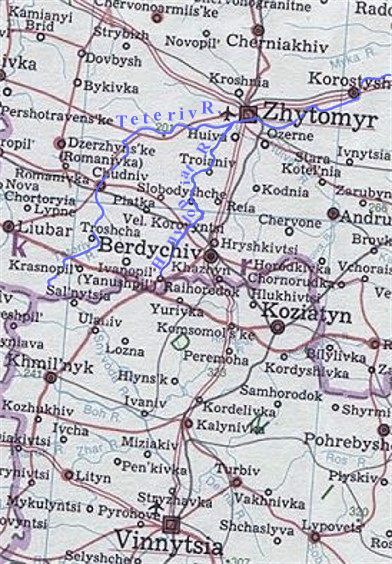 A right-bank tributary of the Teteriv River in the Dnieper River basin. It is 99 km in length and has a basin area of 1,312 sq km. The city of Berdychiv is located on the Hnylopiat.